Golf lovers travelling to British Colombia next year will be able to enjoy brand new putting greens at the Whistler Golf Club. After repeated tough weather, which took its toll on the greens, Whister's decided the time had come to put in new ones. Alan Kristmanson, director of golf at Whistler's original golf course, said that snow mould and disease have been a concern over the last few years and the greens aren't recovering quickly enough once winter ends. "As soon as snow permits we'll strip the greens and they'll strip the bent sod in Abbotsford and we'll be installing right behind it," Kristmanson said. The announcement was made by Karen Playfair, Tourism Whistler's (TW) VP of finance and operations, at the 2012 business plan update meeting for TW members. Kristmanson said the project is about improving the product for golfers and getting the course open for operations sooner each spring. "In our short season we just can't afford to have putting surfaces that aren't in great shape until July," he said. The news will be exciting for those looking to go on a golfing holiday - while sports travel insurance will be vital for any such trip. "We think we'll have the best putting surfaces anywhere once this project is done," Kristmanson added. 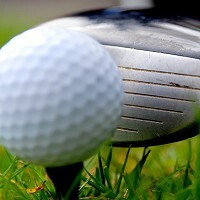 The Whistler Golf Club opens up for the 2012 golf season on May 18.